I’ve already spent half a post singing the praises of this incredible cookbook so I won’t rehash those details. Lucky for me, my brother got me this for my birthday over the summer, and I’ve been slowly easing into it. 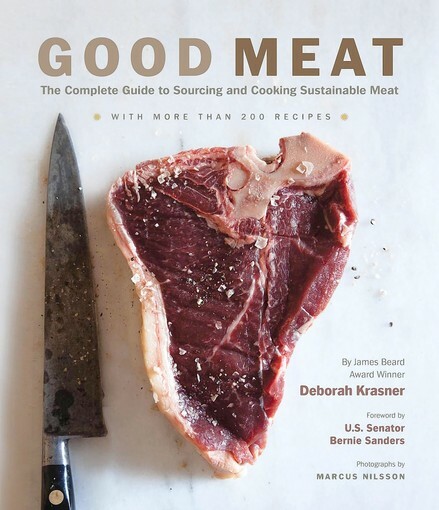 Being a meat-themed cookbook, some of the recipes are not quite so easy to try as they might require you to have access to a meat grinder, if you want to make your own sausage, or to shell out for a lamb roast, but there are definitely approachable recipes in there if that’s what you’re looking for. When I saw this recipe I was immediately intrigued because I love chile spice rubs on grilled steaks, and I also enjoy looking for ways to incorporate the flavor of coffee into cooking. For the steaks: Mix the spices and the salt in the first section, rub into the meat, then drizzle the olive oil onto both sides and rub the meat again to evenly distribute. I have seen conflicting opinions regarding whether one should apply a spice rub to a steak dry, or to include olive oil. I’ve tried both methods a fair amount (Grilled steak is probably my favorite food), and I am definitely a pro-oil person. It seems to make a big difference in terms of getting the best possible crust on the meat, which really enhances both the flavor and the texture of a steak. 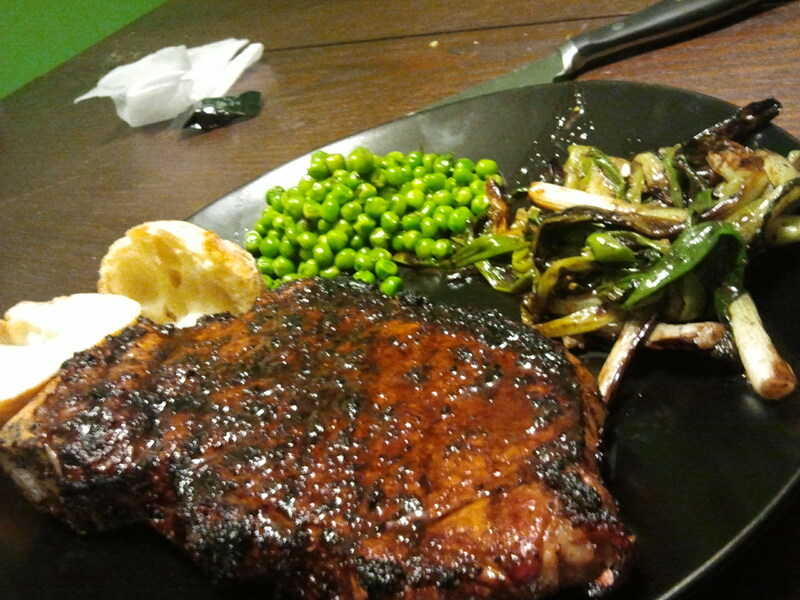 Of course, the other key to a great crust on your steak is to use charcoal, especially hardwood charcoal. Propane is certainly convenient, but unless you want to spend the same amount on your grill as a used car, you will never be able to get that kind of intense heat. And even if you splurge for the cadillac propane grill, you’re still not going to get that smoky flavor. Either way, get your steaks prepped and grill them medium rare, then let them rest for a few minutes. For the sauce: Mix everything but the butter in a sauce pan, and bring to a boil, stirring frequently. As soon as the liquid boils, immediately lower the heat and simmer on your stove’s lowest setting until the liquid has reduced by about half. Cover and keep warm. There is a little bit of flexibility here in regards to timing, in that you can cover the pan and keep the sauce warm for a bit while you wait for the steaks to get off the grill, or for your side dish to cook. HOWEVER, do not allow this to fully cool and congeal. It might not completely ruin it, but it definitely won’t get restored to its ideal version. When the steaks are ready, bring the liquid back to a simmer and whisk in the butter until thoroughly incorporated. Drizzle the sauce over the steaks, and whatever else you want to taste amazing. Seriously, the combination of the sweet, sour, smoky and spicy notes of the sauce make for a very interesting steak accompaniment, and was so addictive that I was trying to think of other things this sauce would go with. I’m thinking it would be good with vanilla ice cream, or on top of some kind of pastry like coffee cake or a german chocolate cake. What I think would be a truly intriguing application for it would be in a tiramisu. More to come on this later.